RasterWeb! Remember when phones were big? Remember when phones were big? 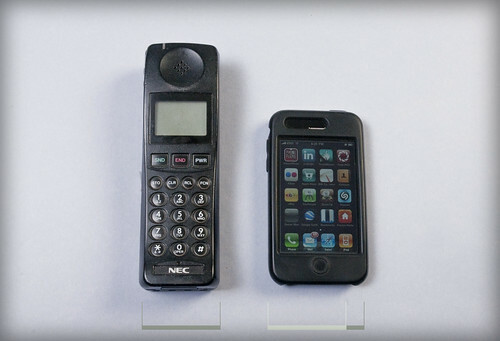 Remember the old days when mobile phones were big? What’s that? Sorry, gotta go… Zoolander is calling! Posted on Tuesday, July 20th, 2010 at 6:58 pm. Subscribe to the comments feed. Both comments and pings are currently closed. Post on your own blog. With 2 ericofons, a sculptura, a noteworthy, and a bicentennial candlestick—your “big” phone ‘s shizzzWEAK! Ahaha, very nice memory. Thanks to remember us.